India is third among countries with the largest pictorial warning on tobacco products, according to a recent report. middle-income countries like India, WHO said today and asserted that policies to control its use, including taxation and price increase, can generate revenues for health care and development work. According to a new landmark global report by the World Health Organization (WHO) and the National Cancer Institute of the USA, published in 'the economics of tobacco and tobacco control', around 6 million people die annually as a result of tobacco use, with most of them living in developing countries. "Policies to control tobacco use, including tobacco tax and price increases, can generate significant government revenues for health and development work. 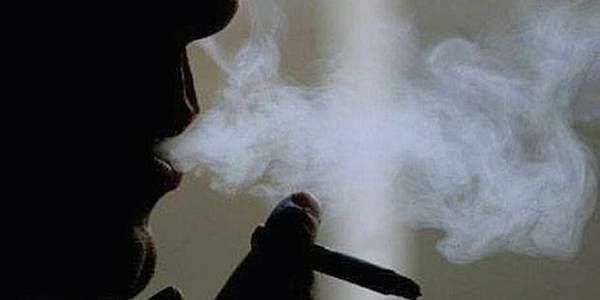 Such measures can also greatly reduce tobacco use and protect people's health from the world's leading killers, such as cancers and heart disease," the report said. Left unchecked, the tobacco industry and the deadly impact of its products cost the world's economies more than USD 1 trillion annually in health care expenditures and lost productivity, it said. The almost 700-page report examines existing evidence on two broad areas -- the economics of tobacco control, including tobacco use and growing, manufacturing and trade, taxes and prices, control policies and other interventions to reduce tobacco use and its consequences and the economic implications of global tobacco control efforts. "Globally, there are 1.1 billion tobacco smokers aged 15 or older, with around 80 per cent living in low- and middle-income countries. Approximately 226 million smokers live in poverty," it said. The monograph, citing a 2016 study, states that annual excise revenues from cigarettes globally could increase by 47 per cent or USD 140 billion, if all countries raised excise taxes by about USD 0.80 per pack. Additionally, this tax increase would raise cigarette retail prices on average by 42 per cent, leading to a 9 per cent decline in smoking rates and up to 66 million fewer adult smokers, it said. "The global health and economic burden of tobacco use is enormous and is increasingly borne by low- and middle-income countries (LMICs). Around 80 per cent of the world's smokers live in LMICs," it said. India has been classified under 'lower-middle income country/South Asia' by the World Bank. India has implemented, from April 2016, large pictorial health warnings occupying 85 per cent of the principal display area of tobacco packs and on all forms of tobacco. India is third among countries with the largest pictorial warning on tobacco products, according to a recent report.